Hundreds of residents turned out on Minnesota's Iron Range Wednesday for a last chance to persuade state officials to approve or kill the proposed, controversial PolyMet copper-nickel mine. The Minnesota Department of Natural Resources and state Pollution Control Agency issued draft permits for the controversial mine last month but have yet to make final decisions on the project. They are asking for the public's feedback one more time. A second meeting is set for Thursday in Duluth. In Aurora, about 450 people came to Mesabi East High School to ask questions and learn more about the project, which would be the state's first copper-nickel operation. And for three hours they delivered impassioned three-minute speeches to state officials on why they should, or shouldn't, approve the mine. But officials didn't hear much they hadn't heard already. After many years of meetings and review and comment periods, by this point nearly everyone has made up their mind on PolyMet. And there's not much middle ground. Virtually everyone in the crowd in Aurora strongly supported the project. The proposed mine would be located just a few miles away. Most people on the Iron Range have family who work in the iron mining industry. And they're eager to see another kind of mining developed here to provide a jolt to the regional economy. "We use the materials, we use the metals," in cellphones and laptops, explained Chris Vreeland of Hoyt Lakes, Minn. "If we can't do it environmentally right here in Minnesota, we shouldn't be using copper, nickel and precious metals." "The notion that we can't have jobs and protect the environment is simply wrong," Aurora Mayor Dave Lislegard said to loud applause. "The company has done its job, we have done our job. Please move the process forward so we can do our job." Only a handful of speakers opposed the project, although many more are expected at the public hearing in Duluth. "The potential for pollution of the headwaters of Lake Superior is not in the best interests of the citizens of this state and the PolyMet permit to mine must be denied, said Elanne Palcich of Chisholm. Minn. "This type of mining cannot be done in a water rich environment without leaving behind a toxic legacy." Many politicians also weighed in, all in favor of PolyMet, including Democratic members of the Iron Range delegation in the state Legislature and Republican House Speaker Kurt Daudt. "I'm confident we can take advantage of our natural resources and protect the environment," Daudt said. Those types of generic pro and anti-mining sentiments aren't particularly helpful to state regulators at this point in the process, said assistant DNR commissioner Barb Naramore. "It's not a vote. It's not a popularity contest," explained Naramore. "The regulatory process is a matter of us, looking at what the company proposes to do, and evaluating it against all the requirements in statute and rule." Then she said the agencies use their best judgment along with the data collected and the comments they receive to determine whether the project meets state standards. And if it does, Naramore said, they would issue a permit, regardless of how many Minnesotans oppose or support it. The draft permits released by state agencies last month suggest the agencies believe the mine as proposed can meet state standards. Naramore acknowledged it's unlikely there will be any perspectives presented in comments that the agency hasn't already considered. "But we always have to remain open to the fact that someone may put something entirely new in front of us, or frame an issue or a question in a way that we haven't previously addressed it," she said. 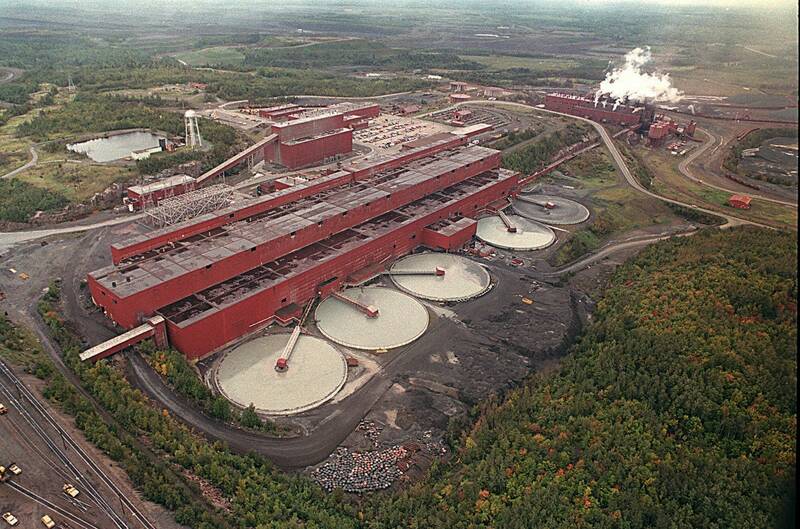 Environmental groups say there's still a long road ahead for PolyMet. Lawsuits are likely. And the project could face a contested case hearing before an administrative law judge prior to final permit decisions. That's why it's important Minnesotans make comments now, said Paula Maccabee with the group WaterLegacy. "Because there will be a time soon, when there is a third party who is not being politically pressured by the mining companies, who can take a look at these facts," she said. And even if it's only a three-minute comment, Aaron Klemz with the Minnesota Center for Environmental Advocacy said there's value for citizens in looking a state official in the eye and telling them what they think about the proposed mine. "Otherwise," he said, "it will be all too easy for them to rubber stamp these proposals that we think are badly formed and risky."